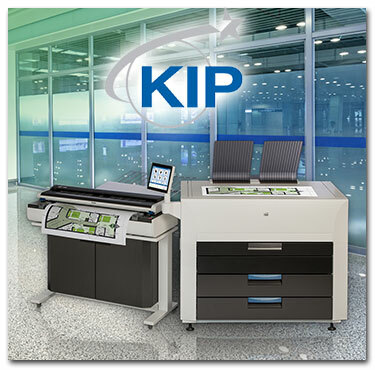 For wide format output, Streamline Office Solutions offers the full line of KIP products. KIP is a leading global supplier of digital printing and scanning solutions for color and monochrome wide format documents. KIP offers an extensive product range that meets the ever-increasing demand for fast, high quality, cost effective reproduction. KIP advanced product technology leads the market in performance, reliability and value with an exceptional low cost of operation.